On Sunday, St. Patrick's Day, Jack noticed that one of our water tanks was not filling. A short investigation led to well #1 where the pump had stopped working. Jack called our well man, Don Vickery, immediately. Don's crew came out Monday afternoon to pull the pump. It's 270 feet down & is attached to 20' lengths of pipe. It takes a crane to pull it up. 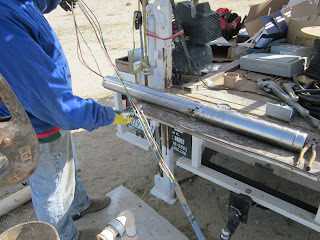 The picture is of the wires that go down into the well & communicate with the pump. Don's crew took only 3 hours to pull up the pump. After 5 years of use, it had just had enough work. It was a good thing this happened in March & not July when the trees need the maximum amount of water. 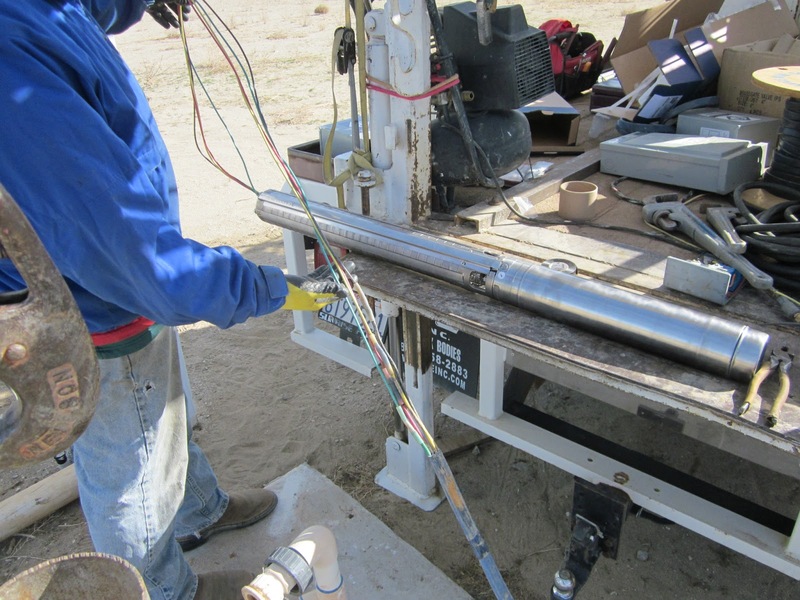 A new pump was ordered on Tuesday morning & installed on Thursday morning. By lunchtime it was all over. Jack & I went to Rick's Cafe to celebrate! 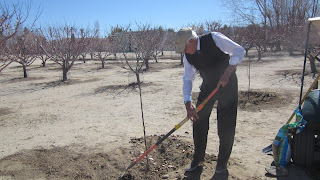 My own personal Johnny Appleseed, my husband Jack Brian, is planting the last of 32 new trees. We have peaches, nectarines, pears, & apples. We used a new supplier for the apples & the trees look terrific. The only problem is waiting. It will be 3-4 years before we harvest any fruit from these trees. No instant gratification for the orchardist!